Ours is deep, 61 metres deep. 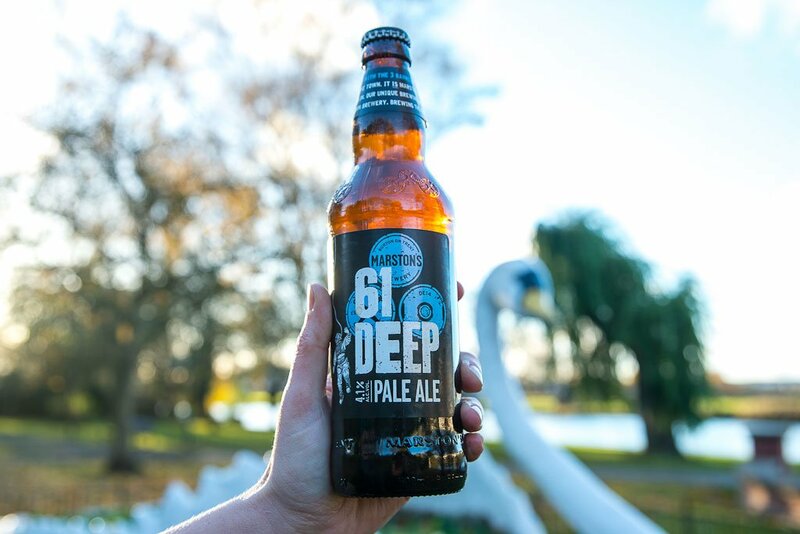 That’s the depth of the well at our Burton brewery, the well that provides our brewing water filtered through gypsum beds beneath the town – and it’s the name of our latest brew, 61 Deep. It’s the water that made Burton Upon Trent famous for brewing – so much so that brewers in other locations learned to ‘Burtonise’ their water by adding salts so that it would match up to our tasty tipple. But let’s not d(well) too much on the water, let’s think about how it’s turned into the lovely jubbly beer fresh out of the Marston’s Brewery. The five American and Australian hops packed into this beer give it a fresh, zesty aroma, whilst the tropical fruit and citrus notes make it extremely drinkable. 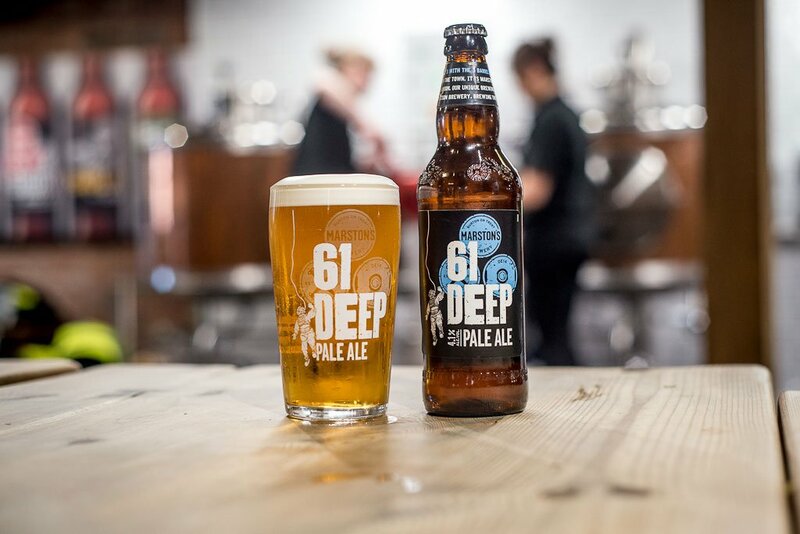 For those who like to dabble in a bit of beer and food togetherness, 61 Deep cosies up to spicy chilli and Mexican foods as well as doing a lovely tongue tango with fruity desserts such as Lemon Torte. 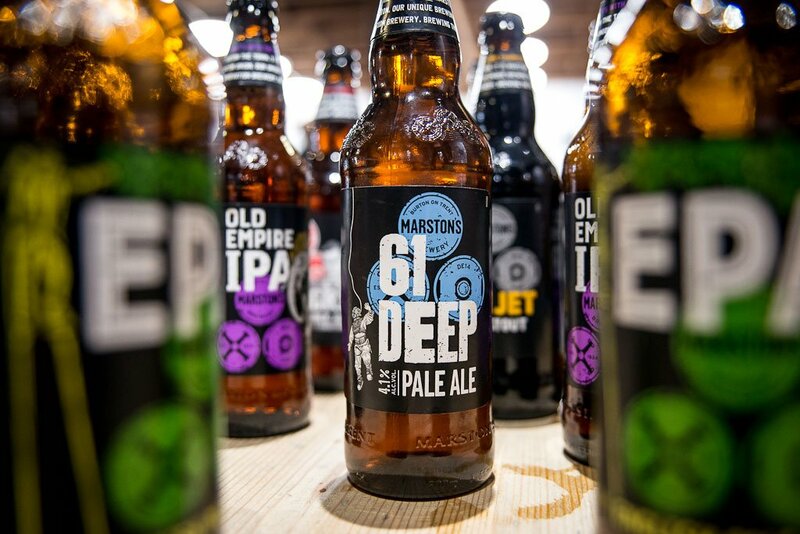 If your local doesn’t stock 61 Deep, please mention it to your kindly landlord, otherwise it will be appearing on shelves in Waitrose soon or you can buy it online here and have it delivered straight to your door. Well? What are you waiting for? Dive in!